Outlet Center Roermond has gained an appealing store concept. This time, a successful fashion label for young people was added to the centre! This is not the first store concept that WSB designed and installed in Outlet Center Roermond. WSB previously developed stores for Siebel, Intersport and Yaya. 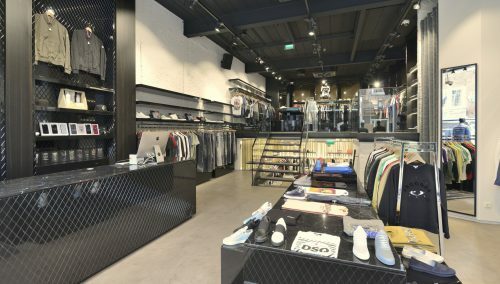 The fast-growing fashion label Retour Jeans / Denim De Luxe requested WSB to create a store design for the new Roermond outlet after designing the shop in Bataviastad and various shop-in-shop concepts in De Bijenkorf department store, among others. Retail designer Rick Schreuder is very positive about the options for a successful store concept in the Roermond Outlet Centre. Do you want to know more? Do you plan to renovate? Call us for an inspiring brainstorm session: +31 33 2771714, or send us an email at info@wsbinterieurbouw.nl. 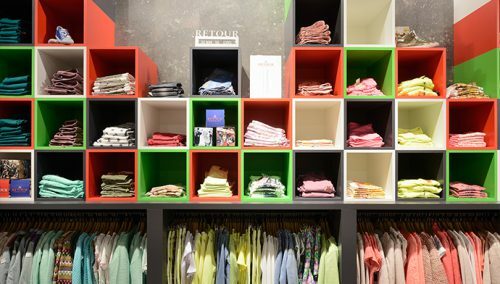 The Retail designers are super-creative and practical craftsmen of international store concepts for fashion labels and shop-in-shop brand experiences.